Stephen Deas is an engineer in the aerospace industry, working on communications and imaging technology in the defense sector. He is married with two children and lives near Writtle in Essex. He also writes under the penname Nathan Hawke. Click here for more books by Stephen Deas. It occurs to me that there are very many interviews with fantasy authors to be found on the Internet - this very site conducts many of them, and I've enjoyed every one! However, few people bother to talk to the long-suffering partners behind those who create the books we know and love. It is fun for us to dip into the fantasy worlds created by these authors -- but how must it feel to the people who dwell in them full-time? With this in mind, I decided to create a feature called Living With The Writer, where we talk to those significant others. Memory of Flames — (2009-2015) Publisher: The Adamantine Palace lies at the centre of an empire that grew out of ashes. Once dragons ruled the world and man was little more than prey. Then a way of subduing the dragons alchemicly was discovered and now the dragons are bred to be little more than mounts for knights and highly valued tokens in the diplomatic power-players that underpin the rule of the competing aristocratic houses. The Empire has grown fat. And now one man wants it for himself. A man prepared to poison the king just as he has poisoned his own father. A man prepared to murder his lover and bed her daughter. A man fit to be king? But uknown to him there are flames on the way. A single dragon has gone missing. And even one dragon on the loose, unsubdued, returned to its full intelligence, its full fury, could spell disaster for the Empire. But because of the actions of one unscrupulous mercenary the rivals for the throne could soon be facing hundreds of dragons… Stephen Deas has written a fast moving and action-fuelled fantasy laced with irony, a razor sharp way with characters, dialogue to die for and dragons to die by. The Adamantine Palace: Missing the hero? The Adamantine Palace is classic fantasy with all the major ingredients: magic, dragons, knights, castles and all the trimmings. There is, however, one missing element: the hero. 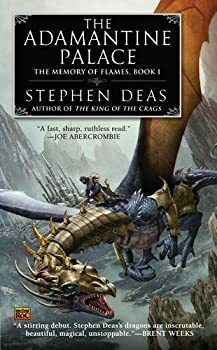 Stephen Deas writes a really interesting, very complex first novel, kicking off the Memory of Flames series, but I can't figure out who the hero is. Thief-Taker — (2010-2015) Young adult. 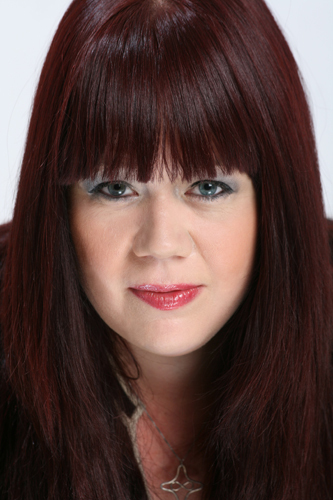 Publisher: Berren has lived in the city all his life. He has made his way as a thief, paying a little of what he earns to the Fagin like master of their band. But there is a twist to this tale of a thief. One day Berren goes to watch an execution of three thieves. He watches as the thief-taker takes his reward and decides to try and steal the prize. He fails. The young thief is taken. But the thief-taker spots something in Berren. And the boy reminds him of someone as well. Berren becomes his apprentice. And is introduced to a world of shadows, deceit and corruption behind the streets he thought he knew. Full of richly observed life in a teeming fantasy city, a hectic progression of fights, flights and fancies and charting the fall of a boy into the dark world of political plotting and murder this marks the beginning of a new fantasy series for all lovers of fantasy — from fans of Kristin Cashore to Brent Weeks.